The course presents the long term capabilities for the radio technology to evolve beyond LTE and LTE Advanced. The current mobile broadband usage, applications and challenges are discussed, experiences from commercial LTE networks are shared and LTE Advanced solutions are short presented. The story is not over with LTE Advanced – the radio technology can improve a lot by 2020 in terms of end user experience, capacity and network operability. The course considers these radio capabilities and shows how the underlying digital and RF technology evolution helps also to push radio technology further. 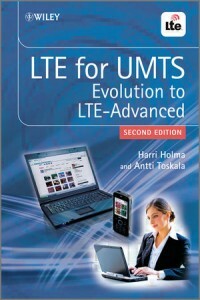 About the lecturer: Harri Holma joined Nokia Reserch Center in 1994 and received his M.Sc. from Helsinki University of Technology 1995. He has been with Nokia Networks since 1998 and has been located both in Finland and in USA during that time. Harri Holma is currently working as NSN Fellow with Nokia Siemens Networks with special interest on radio system performance. He has completed his PhD at Helsinki University of Technology 2003. Dr. Holma has edited the books „WCDMA for UMTS“, „HSDPA/HSUPA for UMTS“ and „LTE for UMTS“ and contributed to a number of other books in the radio communication area.